I recently submitted a contract on a HUD (Department of Housing and Urban Development) owned property. In the past, I have found success in HUD owner properties and believe they can be easily acquired below market value, which is both rewarding and a goal we all have.' HUD handles every property it acquires similarly, as it pertains to the handling and award of contracts.' Understanding how HUD operates will allow the buyer to acquire the property at HUD's lowest acceptable price.' The following article is based on my understanding of HUD and consistencies I have observed when submitting and purchasing properties from HUD. It should be noted that this is, no way, a guarantee.
' When HUD lists a property for sale, it will be listed as exclusive for either 5 or 15 days (depending on the insurance carried of the property).' Exclusive listing are only open to bidding from government entities, HUD-approved nonprofit organizations and owner-occupants.' After the exclusive period expires, the property will enter the extended bidding period.' This opens the bid to all bidders, including investors, and this is when the knowledgeable investor has the opportunity to acquire a property greatly below market value. HUD has a preset acceptable offer price for all properties. HUD refers this to the minimum acceptable bid. The minimum acceptable bid is the net value HUD will receive after all commissions, technology fees, and any seller-paid costs. ''The formula for this is not known and will vary based on area, market conditions and even on property backlog.' Contrary to popular belief, an all cash offer holds no more value than a financed offer. 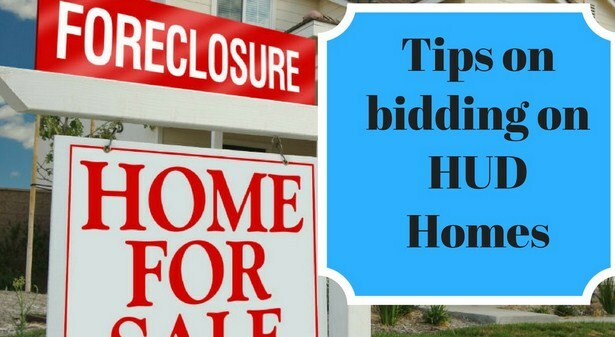 'If your offer does not meet the minimum acceptable bid, HUD will send you a letter or email that states the exact amount of HUDs minimum acceptable offer and the letter will state the bidding period has been extended for 24 hours.' As illustrated above, your initial offer should be only considered as a mechanism to find the minimum acceptable offer and should be well below market value.' If HUD accepts your offer, be aware you just over paid for the property. Now that we know the lowest price, we can close on the property or as I would recommend, continue waiting. Offers to HUD can be submitted as both a primary offer and a backup offer, meaning HUD will hold your offer as a backup. It is important that you submit as a backup offer.' Like all motivated sellers, HUD will reduce their asking price as the property stays on the market for a certain duration.' Unlike finding the minimum acceptable bid, this duration is not known or easily speculated on. I purchased a HUD property where the price reduction happened 6 weeks and was followed up by another reduction a month later.' Currently, in my market, there is a property that has been on the market for 50 days, with no reduction, so the exact timing will vary greatly. 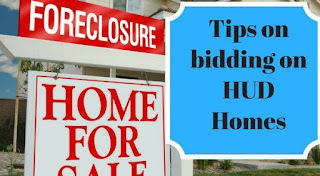 The same day HUD reduces the price, they will review all backup offers and will send notice of acceptance to the highest-priced offer, above the revised minimum acceptable offer. Essentially, your backup offer allowed you first bid at a reduced priced HUD property. Following this method for biding will provide you both the guarantee that you bought at the lowest price possible, and allow you the advantage of essentially receiving first right of refusal upon a price reduction.' Good luck finding your next tenant in a great new property.